Apple has acquired the global rights to "The Elephant Queen," a feature-length documentary about an elephant matriarch who leads her herd in search of a new watering hole to call home, according to Deadline. Athena is a mother who will do everything in her power to protect her herd when they are forced to leave their waterhole. 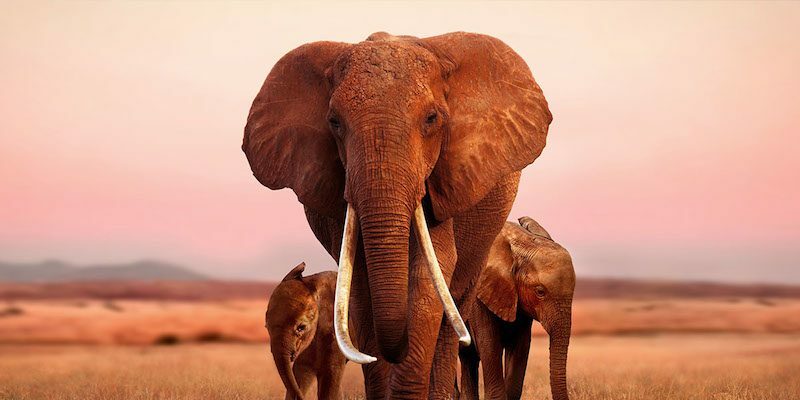 This epic journey, narrated by Chiwetel Ejiofor, takes audiences across the African savannah, and into the heart of an elephant family. A tale of love, loss and coming home. "The Elephant Queen" was screened Saturday at the Toronto International Film Festival, where top executives from Apple's Worldwide Video Programming division are believed to be scouting out films. The documentary is directed by award-winning wildlife filmmakers Victoria Stone and Mark Deeble. Zack Van Amburg and Jamie Erlicht, two former Sony Pictures Television executives who lead Worldwide Video at Apple, reportedly led negotiations to pick up the documentary from Endeavor Content and Mister Smith Entertainment. In addition, prior to TIFF, Apple obtained rights to animated film "Wolfwalkers" from Cartoon Saloon and Melusine Productions, according to Deadline. The film, directed by two-time Oscar nominee Tomm Moore and Ross Stewart, centers on a young apprentice hunter named Robyn in a world of superstition. In a time of superstition and magic, when wolves are seen as demonic and nature an evil to be tamed, a young apprentice hunter, Robyn, comes to Ireland with her father to wipe out the last pack. But when Robyn saves a wild native girl, Mebh, their friendship leads her to discover the world of the Wolfwalkers and transform her into the very thing her father is tasked to destroy. Bloomberg News first reported about a potential animated film deal between Apple and Cartoon Saloon back in June. Apple has been steadily expanding its slate of original content in the pipeline, but these deals are particularly notable, as they represent the first two films the company has acquired, complementing nearly two dozen TV series. Apple is expected to distribute its original content through a new streaming video service, along the lines of Netflix, starting in 2019. Every streaming service contains tons of stuff that most people won't watch. Tell me about the service you would create that would only have titles that most people will watch? So if Apple happens to create a great service that proves its value, you will be disappointed? That makes sense. I feel many would share his thoughts. As they wish Apple for focus on what they are, or SHOULD BE good at, and stop trying to be something else that others are best at. We see it so many times. Companies lose focus and think they can diversify into other areas, and they then drop the ball on what their core reason for existing is. We've even seen this with software over the years. Someone makes a amazing product, everyone loves and uses, but they can't just carry on making that. They then start to add more and more features to it, seeing other products and thinking they can draw people away from other products if they bolt more and more onto their product. Eventually the whole thing comes crashing down. the people who used to love them are sick of the complex bloated mess the product has become, and those who were using other products have not left to move to this other bloated product, and it fails and burns. People just are annoyed at Apple not updating items or not bring out new wanted items as a computing company, and spend time, money and energy on side projects such as this. The reason great companies exist is to solve hard problems by doing hardwork. Apple isnt doing enough hard work these days, and trying to buy into the media business. It isnt Apples job to produce any content, unless Apple can do a better job than Netflix. Instead of getting good content from the best providers Apple is trying to do that, reminding itself of the iTunes music days. I think it is alright to let go of that revenue because the space has changed a lot. Focus on new streams, most importantly Gaming. Apple is loosing one battle after the other in that space inspite of having a lead in terms of hardware in the mobile space. Almost every new platform is winning in gaming, Apple didnt do a good of in Mobility gaming and a new product like Switch is taking over that space with yester years IP. Tim isnt choosing the right battles and i am little sad. I'd watch the elephant one if I didn't have a feeling it's unbelievably sad. does anyone really care about shows that most people won't watch? not even sub'd to apple music. spotify's algorithms are far superior. I hope It will be a flop, the whole video services. I’m sure a lot of good people are doing a lot of their best work to make these shows, but I wonder if the market will support another subscription streaming service, with silo’d content, and under a computer company brand. Or maybe I’m just sour because Apples Videos app has demoted my film collection to an afterthought, is inexplicably more excited about railroading me into old obsolete TV services, and doesn’t seem to have even heard of Netflix. Given how clear their vision was regarding music, it always seemed to me Apple never knew quite what to do with video, and still doesn’t. ON the ther hand, if Apple were to build an actual educational “channel”, a nonfiction stream of nature films, math, & the natural sciences, that might be a quality service to consider, since every other service on every other platform is all competing trying to sell trash and stupidity. My gods I watched cable tv last weekend, and every show was written for idiots. Watching the mindless junk that now fills the history channel, the discovery channel, the learning channel, etc, was a parade of pure garbage, plus a hundred of the same damn hero’s journey stories. In the vein of 321 Contact, Nova, Newton’s Apple, etc. Hire photographers and make every shot beautiful and compelling, offer it with an alternate instrumental-only audio track, proofread your subtitles, and absolutely clean up on the vacant “quality” end of the market. Yea, I can't watch most documentaries featuring elephants anymore. Knowing how intelligent they are and that they love to end those documentaries in tragedy. Really any documentary focusing on one animal like following the life of a wolf pup. You know how it's going to end. Really, I don't like watching any documentary where they go into gory detail of animals killing each other. Yes, lions kill wildebeests. That's life. I'm not interested in watching it struggle in vain for 10 minutes or killer whales playing volleyball with a seal. I don't mind when they show predators at their peak doing a quick surgical strike. Even worse are documentaries which follow an injured animal for days or weeks as it slowly starves to death or succumbs to its injuries. What kind of sick person can do that? I prefer to stick with documentaries which focus on the life cycle and habits of animals. Informative non-emotional pieces.